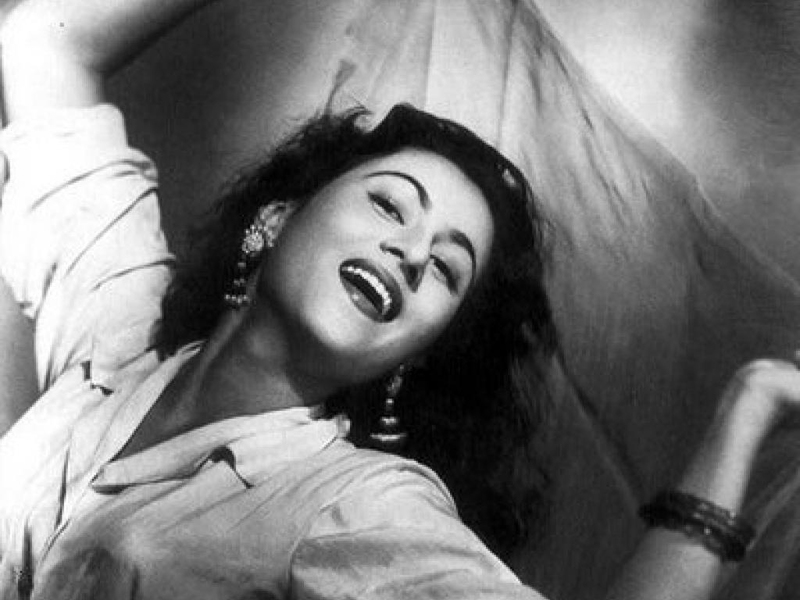 “Songs” have been always a very important part of Indian films; especially the Hindi films. This was something unique, as it was not at all used in the films of any other countries. In the decades of the 50-s to 70-s, even the popularity of a film was measured with the popularity of its songs. Many times, it affected the film’s business also. Famous producer, director and actor, Raj Kapoor, used to release the songs first (in form of gramophone discs) and later prepare the for the film. He even used to make changes in the film- story, according to the lyrics of the songs. Same thing was done by many more directors/ producers. 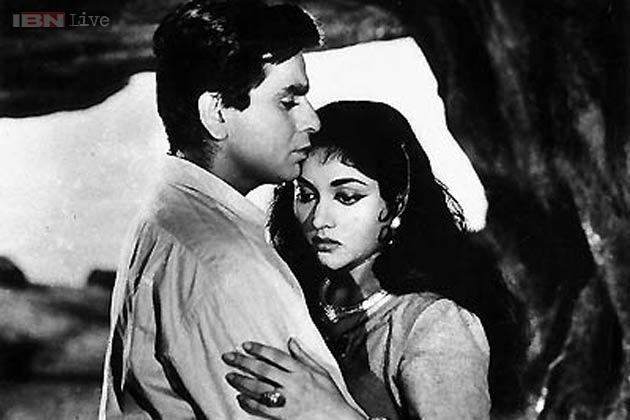 The popularity of Hindi film songs began in the era of late forties. The pioneers of this phase were stalwart singers like- K.L. Saigal, Ashok Kumar, Noor Jehan, Suraiya and Pankaj Mallick; composers like- Khemchand Prakash, Ghulam Haider, Naushad, Anil Biswas, Pankaj Mallick and S.D. Burman; lyricists like- D.N. Madhok. However, the songs of this era, are still blamed to be “very monotonous”, with very less variation of orchestration and experiments. This picture changed from 1949 onwards; when the legendary composers (the first trend setters of Hindi film music) Shankar Jaikishan entered the field. In the meantime, Bollywood had been bestowed with tremendous versatile singers like- Lata Mangeshkar, Asha Bhosle, Mohd. Rafi, Manna Dey, Geeta Dutt and Talat Mahmood; lyricists like- Shailendra, Hasrat Jaipuri, Sahir Ludhianvi, Rajinder Krishan, Shakeel Badayuni and Majrooh Sultanpuri. 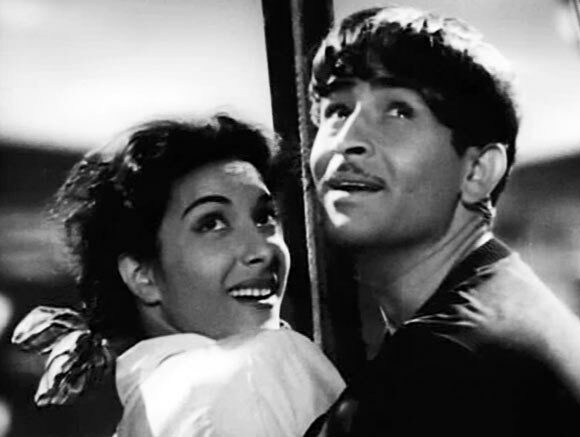 The combination of Raj Kapoor- Shankar Jaikishan- Shailendra/ Hasrat Jaipuri created a history, with their first big success of “Barsaat” in 1949. The music of this film changed everything- the orchestration, the melody and also the trend of music. “Barsaat” created a history in Indian film music. This was also the film, from which the names of the playback singers started to get displayed on the titles; previously their names were not displayed. Within another few years, Bollywood got enriched with more singers like- Hemant Kumar and Kishore Kumar; composers like Roshan, Madan Mohan, O.P. Nayyar, Ravi, Salil Chowdhury and Hemant Kumar. 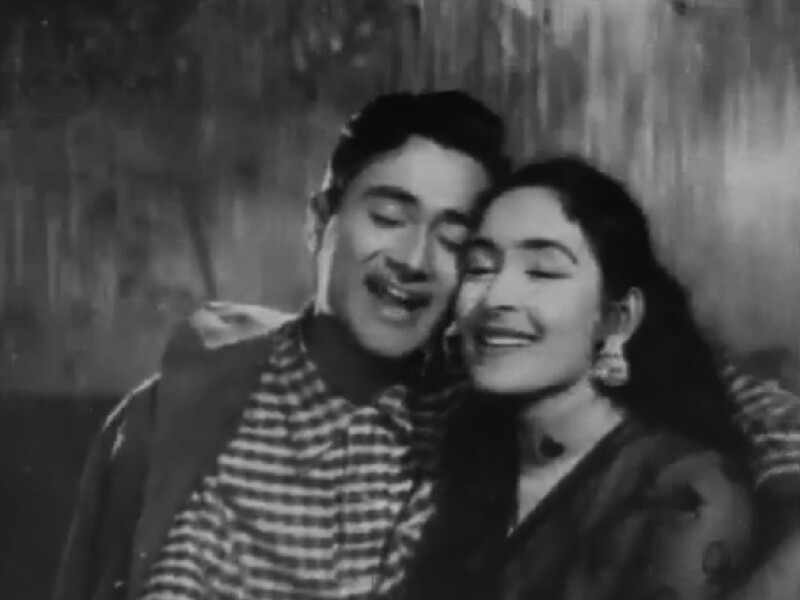 This was the time, when “songs” became the most important part of a Hindi film. This continued for another 30 years. It even reached the peak, when more talented and versatile composers (like Kalyanji Anandji, Usha Khanna, R.D. Burman and Laxmikant Pyarelal) entered and started to rule the music world of Bollywood. Wanderlust being a trait that comes easy to me, it was with total delight in December 2006, that I greeted yet another business trip, this time to freezing Norway. Having heard so much about Scandinavia, and though I had been to Sweden once before, albeit fleetingly, I was excited to be able to finally spend a fair while in Nordic land. 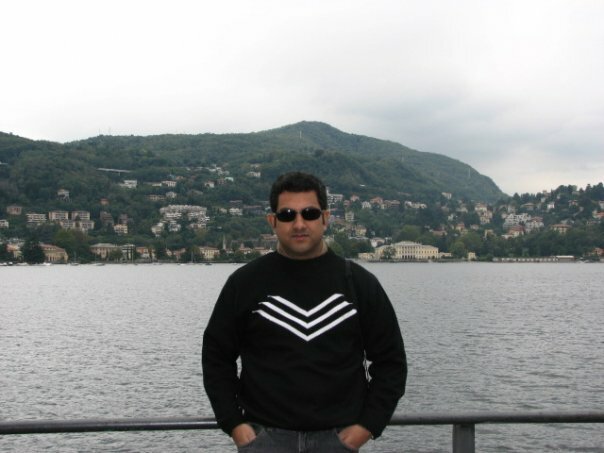 The enthusiasm was not at all dampened by the fact that it would be the coldest place on earth that I would have ever ventured out from the sultry shores of India, by a distance. It was thus with both fervor and trepidation that I started my mental preparations having learnt that temperatures shot as low as -40C. The itinerary would be choc-a-bloc though with the luxury of a weekend, it would make for some wonderful roaming around Oslo, where I would be based out of. 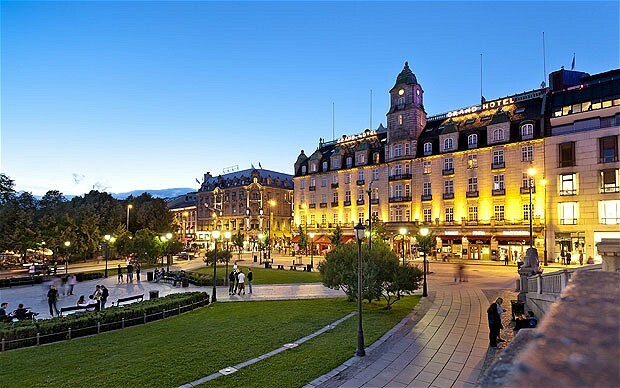 The KLM connector brought me to Oslo from Amsterdam a couple of hours post schedule on a Wednesday afternoon and by the time I had “duty-freed” some Spanish Vino Tinto and reached Radisson, it was already late afternoon, but in the month of December, 4 pm was pitch dark. I had been to Europe multiple times before, but the nip in the air and the darkness at that hour, had a strange feel to it. By the time, I was well entrenched in my 18th floor hotel room after dinner, I was ready to snooze into dreamland and so I did with minimum fuss. I woke up afresh the next day and for once thought that it was midnight again, only to realize that “Uncle Sun” was in hibernation and like an very early sunset, it was going to be a very late sunrise as well. So, by the time I had a sumptuous breakfast littered with all sorts of possible catches from the North Sea, the smoked salmon, the cod fillet, the mussels, the trout and caviar, I was alive and kicking. Coming from a part of the world where fish is considered “vegetarian”, I sumptuously gorged on all the sea fish on offer. The next few days went off at work in a jiffy and before I could bat an eyelid, the weekend had set in. The old age “work hard, play harder” was now going to be implemented in full swing. To my delight, my Norwegian co-worker Jon, volunteered to spare some of his precious time to show me around. Jon’s exuberance and willingness was summed up by the fact that the warmest winter in some 60 years had made the temperature only around -5C, a veritable heaven for the locals, who are used to much chillier winters. 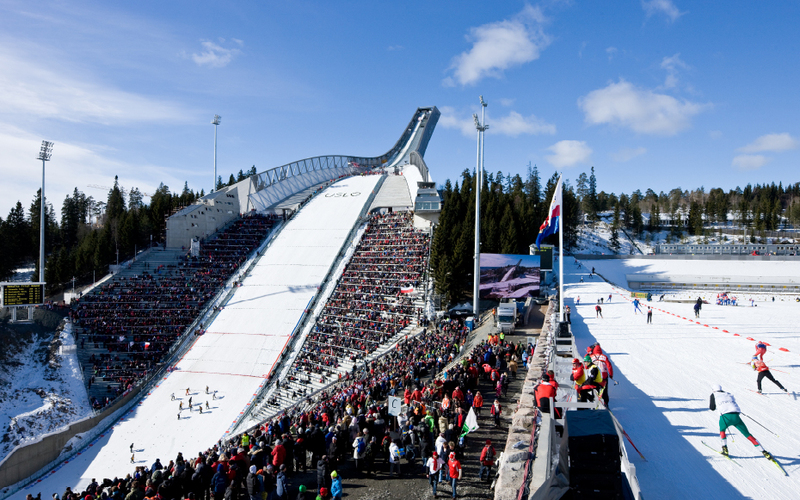 We planned to drive up the hill to a wonderful place called Holmenkollen, a hilly area in the outskirts of Oslo which boasts of the Holmenkollen ski jump, the world’s second oldest ski jump competition that still exists. The area has been a ski recreation area since the late 19th century, with its famous, eponymous, ski jump arena hosting competitions since 1892. The jump also played host to the 1952 Winter Olympics, in Oslo. 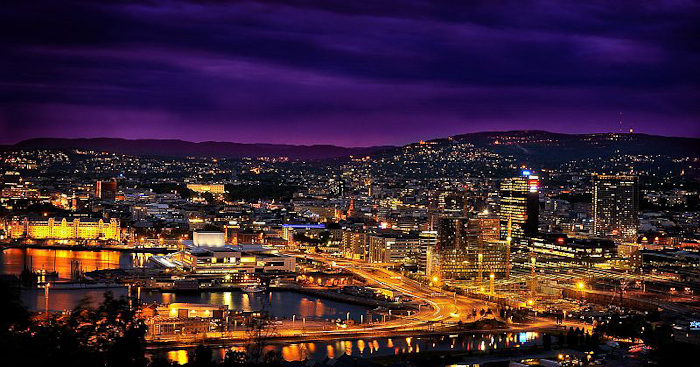 The area is located within the Oslo borough of Vestre Aker, and borders Marka, the large woodlands located within the Oslo city borders. At the base of the Holmenkollen Ski Jump is a lake which is open for swimming. In September the lake is emptied in preparation for skiing season. If ever there was sporting paradise on the face of mother earth, THIS was it. I was left visualizing the ski jumps and the giant slaloms and actually viewing some of the legends airborne on the large screen plasmas inside the stadium gallery and the museum, presumably the world’s oldest ski museum. From the legendary Norwegian, Paul Braaten, the earliest 2 time winner through to Tommy Ingebrigtsen, again of Norway, holder of the current jump record of 136 meters achieved on January 25, 2006, the museum had it all. 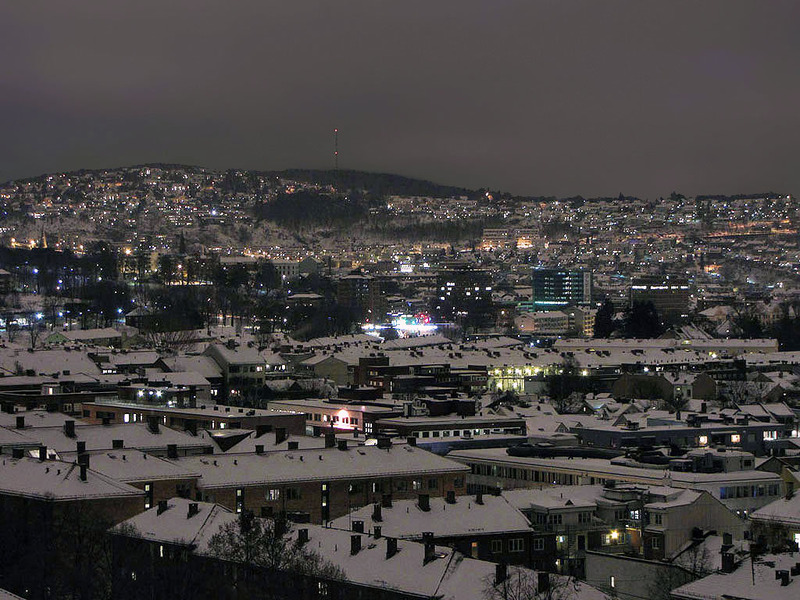 The icing on the cake was a breathtaking view of Oslo from atop the ski jump which was veritable magic. 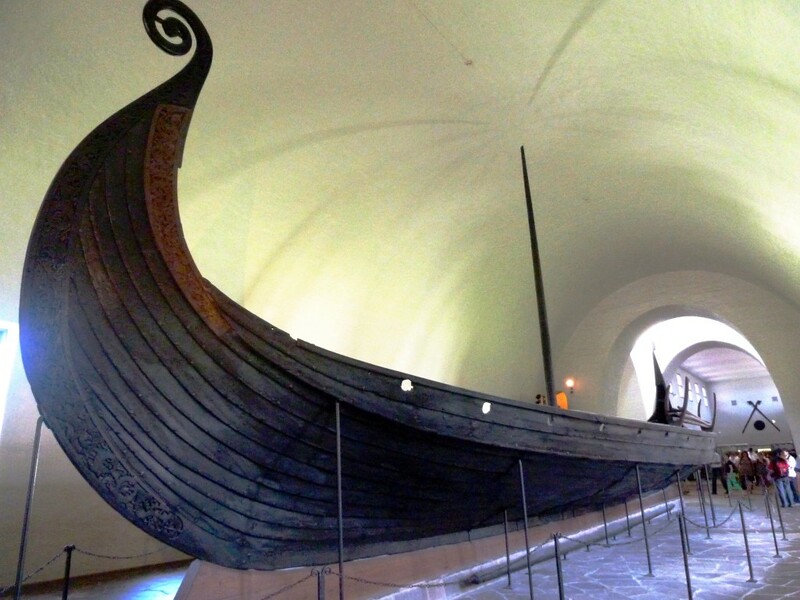 The next destination was the Viking Ship Museum, which is part of the University Museum of Cultural Heritage, and home to great Viking-ship discoveries from Gokstad, Oseberg and Tune as well as other finds from Viking tombs around the Oslo Fjord. 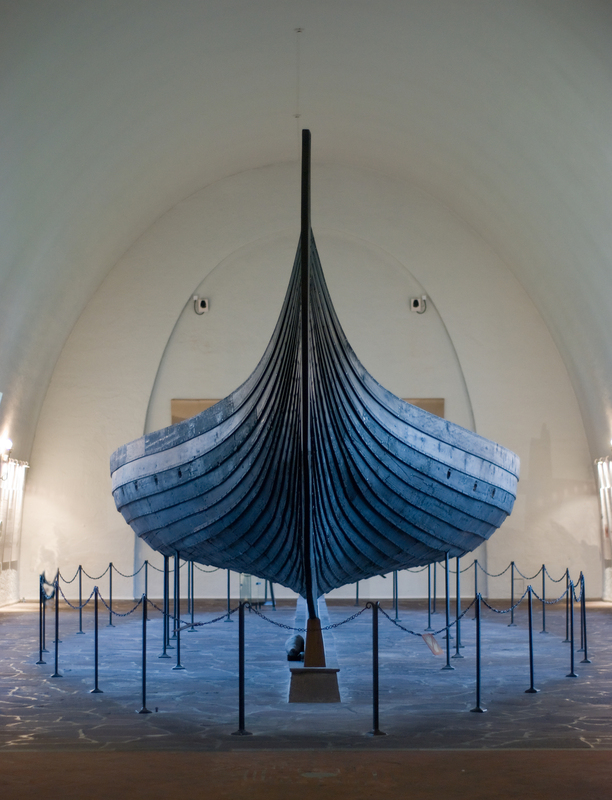 The world’s two best-preserved wooden Viking ships built in the 9th century also find their place. The architectural splendor is complete with small boats, sledges, carts with exceptional ornamentation and even implements, tools, harness, textiles and household utensils. Made you wonder whether it was only pilferage that the Vikings should have been associated with, for they also strangely seemed a mature enough society to have forged their own civilization. After finishing a belated lunch, the Norwegian Maritime Museum was where we headed next. 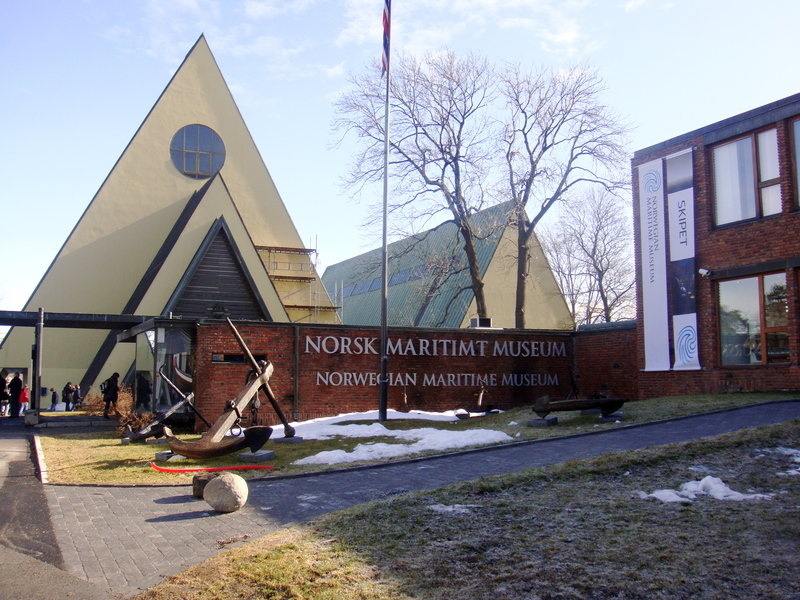 It is beautifully located on the waterfront at Bygdøynes and has fascinating environmental exhibitions about fishing, ship building, shipping, marine archeology and impressive collections of boat models and marine paintings. 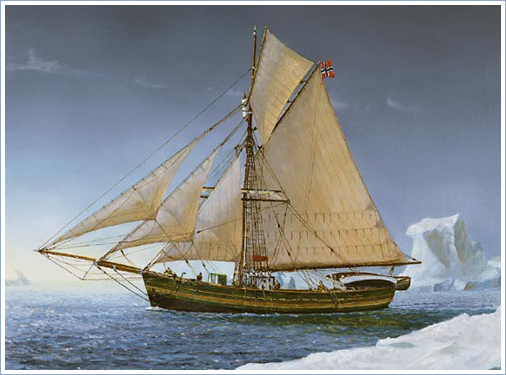 The arctic vessel `Gjøa´ finds place in older boat exhibitions in the harbour. An exciting new video presents `Maritime Norway´, showing a unique and fascinating panoramic view of Norway’s maritime history, the Norwegian coast with its traditions and heritage. We had had a hectic day and assimilating the beauty of Norway and its culture could only be complete with a sumptuous dinner downed with some good wine. 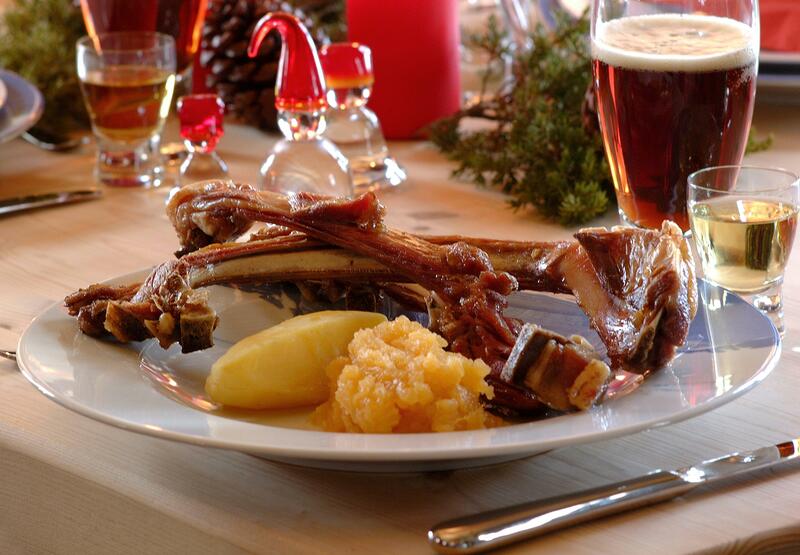 I was very sure that I would try some exotic traditional Norwegian cuisine and my host suggested that I try Pinnekjøtt, salted dried lamb ribs steamed over a rack of juniper or birch twigs, and served with potato, mashed swede (rutabaga). To conclude the meal riskrem, a thick rice pudding topped with a berry sauce, is served. Traditionally, beer and akevitt are served with pinnekjøtt, but it has become increasingly popular to drink red wine instead, but only ’cause wine is becoming more popular in general. In keeping with the modern times, we ordered some Spanish Merlot to wash the lamb. Pure epicurean delight was what it was. I still feel the taste in my buds even after so many years. Heavenly, simply heavenly!!! We drove back in Jon’s swanky BMW sports model and I pretty much crash-landed soon after in my hotel room. It was a hectic day but worth every single moment of it. Unfortunately, the remaining time flew away faster than one could say hello and try as I might, I could not muster additional time to explore Oslo more enough. In spite of my ardor to visit the Henie-Onstad Art Centre at Høvikodden, a museum dedicated and founded by one of my all time sporting legends, the mesmerizing Norwegian figure skater of the 30s and later day Hollywood actress, Sonja Henie, it was something that will have to wait for another day and another trip to a land which I did not know much about but fell quite in love with. Finally, another noteworthy fact was that I had the opportunity to treat myself to some arresting reindeer steak which otherwise I could never imagine I might devour.